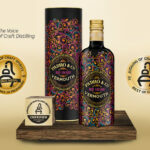 Vermouth Padró & Co. gets lucky. The prestigious ‘Guía Peñín’, a major reference tool for the qualification of wines and spirits, has given these new launches from the Bràfim firm top ratings. Of the five vermouths tasted for this new edition, the Dorado Amargo Suave scored highest, with 94 points out of 100. The Rojo Reserva Especial received 91 points. The other three vermouths (Rojo Clásico, Blanco Reserva and the spectacular Rojo Amargo) received 92 points. In this new edition of Guía Peñín de los Destilados y la Coctelería, which also includes vermouths, a total of 180 vermouth references from different brands were tasted. 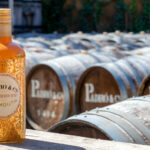 This new award can be added to those already received by Padró & Co. Vermouths: since their recent launch on the market they have not stopped receiving awards emphasizing their high quality, such as the Gold Vinari for the brand’s Blanco Reserva and the Gold and Grand Gold Medals for its Reserva Especial and Rojo Clásico, respectively, in the international competition Concours de Bruxelles Spirits Selection. This good start has now been re-confirmed by the top scores from the Guía Peñín, the world’s most comprehensive manual, which recognises in this latest edition, the brand’s five vermouths by awarding them top scores. Following the announcement of the ratings, the Salón de los Destilados took place at the Salón del Cóctel, this year in its sixth edition. Attendees were able to taste different types of cocktails, a number of which were made with vermouth.